East Midlands Property Owners is a professional residential landlords association but also a not-for-profit organisation. Its members own somewhere in the region of 15,000 rented properties across the East Midlands region. Our purpose is simple. We want to provide landlords, letting agents and property investors with the advice, knowledge and tools they need to be more professional and we want tenants to have affordable, decent and safe homes. East Midlands Property Owners hosts the East Midlands Landlord & Letting Agent Expo, the major residential property event in the area. This FREE visitor event is targeted at residential landlords, letting agents and property investors. Last year’s event attracted over 60 exhibitors and 800 visitors. The East Midlands Landlord & Letting Agent Expo 2014 will be at the East Midlands Conference Centre, Nottingham, NG7 2RJ on Thursday 15th May 2014, 10am to 4pm. Mydeposits is hosting introductory courses for letting agents in order to help them better deal with their tenant’s deposit disputes. The informative, hands-on seminars will provide letting agent professionals with a deeper understanding of the alternative dispute resolution (ADR) process and will be delivered by experienced adjudicators. ADR is offered to letting agents and tenants who are unable to come to an agreement over the return of a deposit at the end of the tenancy. The introductory workshops will provide first hand insight into how the dispute resolution process works, address common dispute issues and identify effective ways to avoid deposit disputes through everyday best practice. Guidance on defining what constitutes ‘fair’ wear and tear. 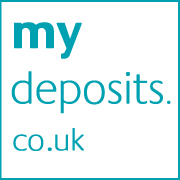 “At mydeposits we’ve been dealing with agents’ deposit disputes for over six years now, which gives us the experience and insight to know what makes best practice. “Unless the agent’s evidence justifies the deductions they propose to the deposit, it should be returned to the tenant. Some agents are unaware of where they are going wrong but if they can understand what is ‘best practice’ right from the start and throughout the tenancy, then this will help to avoid a formal deposit dispute occurring at the end. Sheffield Thurs 27th February, 1-4pm. Exeter Thurs 6th March, 1-4pm. Agents are being educated on making the most of the ‘sharp end’ of the industry in Letting agent workshops. When a landlord has a problem tenant, it can be a stressful time and many don’t know what to do or who to turn to, so often end up putting the blame on the letting agent. Without prior knowledge and experience of handling such situations, agents risk damaging their client relationship. 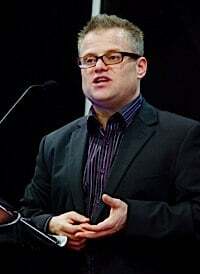 Having worked with problem tenants and helped thousands of landlords spanning 25 years, industry expert and founder of Landlord Action, Paul Shamplina, is taking to the road, this time to help educate letting agents on how to maintain a good relationship with their client landlords, even when a tenancy goes wrong. Paul started at a solicitors firm in litigation, he went on to be a commercial bailiff, private investigator, debt collector and finally a landlord and tenant eviction specialist. He is also currently advising a Government ThinkTank on refining the eviction process. Paul’s wealth of experience in managing the three way relationship between tenant, landlord and agent, qualifies him to provide practical advice on the best course of action whilst keeping all parties properly advised. “Even with the most thorough referencing, difficult tenancies do arise which are beyond the control of any letting agent” he says. However, accordingly to Paul, if more agents knew how to handle problem enquiries correctly from the outset, the chance of such issues escalating would be significantly reduced – a valuable skill which would improve any agents’ offering. The two hour letting agent workshops are designed specifically for letting agents and follow a practical ‘question and answer’ format. They cover a range of technical topics, delivered in a simple, none-jargon way, which agents can relate to. The comprehensive sessions covers everything from ‘attracting new landlords’, ‘referencing’, ‘tenancy agreements’, ‘deposit schemes’, ‘good practice’, ‘risk management’, ‘What to do when a tenancy goes bad’, ‘maintaining landlords’, ‘serving notice’ and ‘court procedures’. Paul Shamplina is taking bookings for these Letting Agent Workshops throughout 2014. It was founded in 1999 as the first ever fixed-fee tenant eviction specialist, they revolutionised this area of legal practice. They have now acted in more than 20,000 problem tenant cases and are considered the authority in this field. Letting agents regularly go bust amid claims of owing landlords and tenants thousands of pounds, so here’s a quick guide to what to look for to safeguard your money. Letting agents are not regulated, which means anyone can open and trade as a letting agent without any qualifications or licence. Letting agents are charging fees of up to £600 to tenants who want to privately rent a home in Wales, says housing charity Shelter. Letting agents are urging landlords to make sure they only do business with firms offering a money protection scheme. Firms signed up to the SAFEagent scheme are highlighting that landlords and tenants risk losing thousands of pounds in rents and deposits if an agent outside a money protection scheme shuts. SAFEagent is launching a ‘week of activity’ beginning on May 14th until 20th May, aimed at raising awareness of the scheme with tenants and landlords. Fraud investigators uncovered a ‘missing’ £85,000 from a failed letting agent that ran into financial problems after the supervising franchise closed.